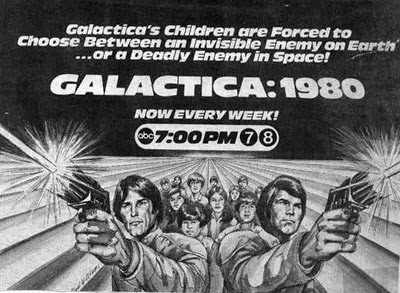 Looking Back At GALACTICA: 1980 | Warped Factor - Words in the Key of Geek. 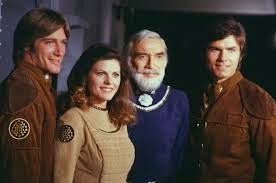 Rob McCarthy joins in with our retro theme week with a look back at Galactica 1980, a short lived series from.... well, you can guess the year! Nowadays movie studios and television networks are used fans writing in demanding their favourite movie get a sequel or TV show be returned to the air, but back in 1979 it was almost unheard of. So when ABC received thousands of letters from well coordinated fans asking the network to rethink its decision behind cancelling Battlestar Galactica, they sat up and paid attention. Donald P. Bellisario and original Battlestar creator Glen A. Larson set about reviving the series, but on a fraction of the already quite meager budget. The initial idea was to make the new show a spin-off and set it 5 years after the original, this would mean they could save on production costs by getting rid of some of the lessor popular characters and just bring back Commander Adama (Lorne Green), Lt Boomer (Herbert Jefferson Jr.), Apollo (Richard Hatch), Starbuck (Dirk Benedict) and Baltar (John Colicos). Lt Boomer would've received a promotion to Commander (replacing Tigh), and Baltar would've atoned for his betrayal and now be President of the Council of Twelve. The new series would involve time travel, with Apollo and Starbuck going back in Earth's history. ABC liked the idea and green lit the pilot. However Dirk Benedict was committed to other projects and Richard Hatch turned the offer to return down, this meant it was back to the drawing board. Baltar was written out completely, the time travel element was dropped and the decision was made to set the show 30 years after the original Colonial Fleet had discovered Earth. Lorne Green looked like a space age Captain Birds Eye as he was sporting a ridiculous fake beard (presumably to show the passing of time, but maybe it was in the hope that no-one would recognise him?). 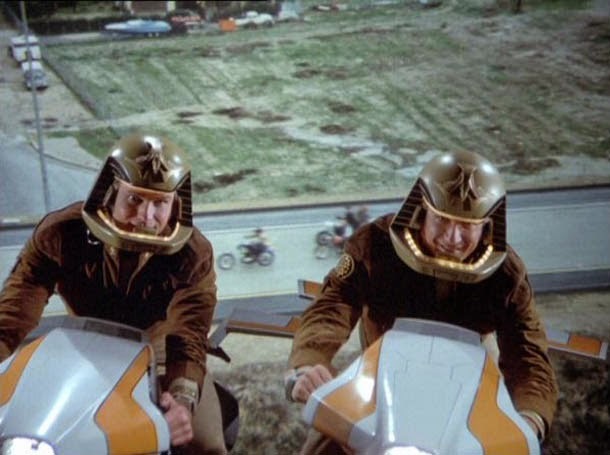 New character's Troy and Dillon were introduced, they had flying bikes, which at the press of a button could be rendered invisible, naturally. The milky bars are on Zee. 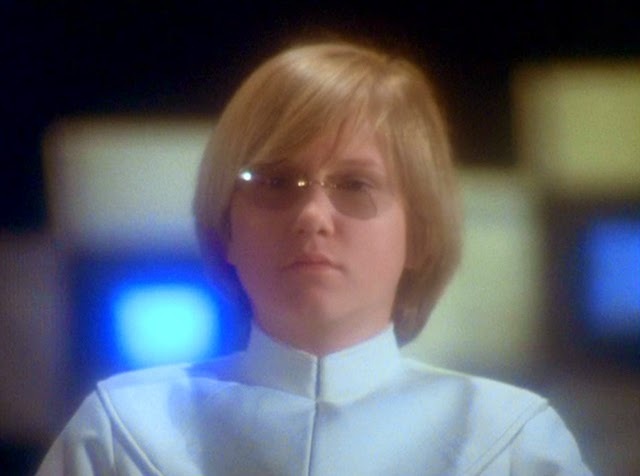 The new crew of the Galactica defended a technologically backward Earth against the Cylons, whilst Adama assembled a team of 'Super Scout' children (oh, the children!) to go to the planet and integrate with society. There was something about Earth's gravity giving them near super-powers, and quite honestly, it was all a load of tosh. As you'd expect, ratings were terrible and the show was very poorly received, even by those that were crying out for its return. A last ditch effort to save the series saw Dirk Benedict return as Starbuck in episode 10. There was no episode 11. Fans just wanted to see the series they loved back on TV, but instead they got some poorly conceived Saturday morning kids show. Well I guess it just goes to show you that there is truth in the old saying, be careful what you wish for!